Have your very own custom printed logo tape! Your company's identity can be seen wherever parcels or other goods are sent. 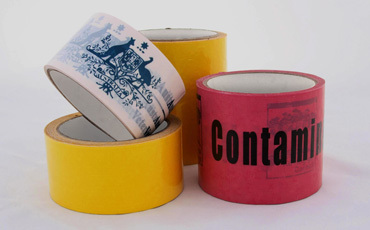 Printed adhesive tape custom manufactured to your specifications. High quality PVC material making the tape noiseless as it unwinds. Continue packing in your office without interrupting your colleagues. CONTACT US FOR YOUR FIRST TIME SPECIAL PRICE!